Yesterday, we released the improved feature of sharing ZoomIn maps, which allows users to embed maps on their websites, also enable users to customize the width and height of the iframe. Earlier this week, changes to the Alexa ranking system (owned by Amazon) have caused a big changes in the Rankr top 100 sites of NZ. The big news is that TradeMe has dropped from 2 most popular site (behind) google to 4th. Others in the top 100 have traded positions. In comparison to real traffic figures, it seems to be re-adjusting itself to be inline to the relative positions of companies and their real traffic. It will be interesting to see if this is the first of many changes from Alexa. Google maps, ZoomIn maps and et are like the MP3 of the GIS world. 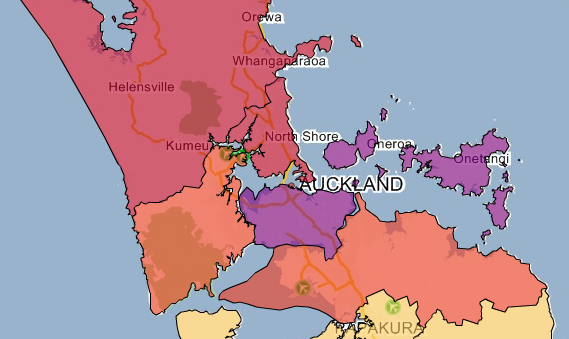 It has made mapping and spatial visualisation available to everyone with a browser. Just as MP3 maybe not be good enough for audiophiles, google maps is not going to be powerful enough for a lot of serious GIS work. The simplicity of Google maps is going drive the consumption of GIS information into a new era. Congrats to Code Blacks, in winning the half-baked challenge. Yet again, we see that as in rugby having a home field advantage has merit. Lots of rumours floating around about the silence of the judging panel in response to the Code Blacks pitch (except for Rowan as noted in the comments). And we heard that Rod left in disgust after being he and the other judge were snubbed in choosing the winner. Anyways, it was a fun time, had by all and big thanks to all the Silicon Team, it was most entertaining. Its seems like a bit of a no contest… a bunch of industry professionals (Code Blacks) vs a group of battle hardened entrepreneurs (Silicon Welly All-Stars). The excuses are already starting to flow..
OK, full credit to the code blacks, they did build a website in 24 hours, but you’re talking to seasoned entrepreneurs and our businesses crank out new products, websites and business ideas every other week!. The Silicon Welly All-Stars have strong history, we’ve raised more money, won more awards, launched more products, released more code, marketed more ideas, hired more people! And we have our secret weapon team captain Tim Norton – the fast mouth in the south. 5 minutes to pitch a new business, he’s already demo’d PlanHQ to world in 6 minutes. The setup method for ActionController::TestCase is useful in some circumstances, e.g. having a user login in your tests. However, when you run the tests, all your tests with login_required fails. NOTE: rubyonrails.org is down/domain expired so rake might fail. In the meantime, try svn export or some other way to get revision 8442 from another repository. UPDATE: rubyonrails.org is back up (domain renewed)! 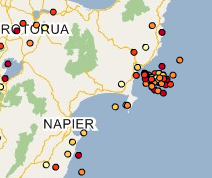 I’ve decided to create a RSS (Blog) feed to aggregate all of the RSS from all of the NZ mapping and spatial companies. I thought it would a great idea to promote a single RSS feed to the industry to promote ideas, products etc. If you know of a blog that should be on this list either email me john at projectx.co.nz or add it on the wiki page I have created at barcamp wiki. ProjectX will be submitting 2-3 entries, showcasing our new visualisation engine. We’ve just taken another looking at Google sitemaps for the first time in a long while. We’ve had mixed resulting using the sitemaps. Changes that we’ve made were taking weeks to come through. So with all the frustration at the way Google indexes our site, we decided to write a little program that parses our weblogs and looks at our crawler traffic. Its been incredibly useful to see what the google crawler is upto. Here’s how it helped us, as we refine our SEO for our recent photos page, we got to see the effects to the crawler and on the site. We changed the changefreq to always and it seems to have had an affect. Using the always change frequency tag denotes that a page is dynamic and changes all the time. Our photo page doesn’t change all the time, but it wasn’t getting indexed by google as often as the content has been changing. The change had an effect within 24 hours of changing our sitemap. We’re currently thinking about making our seo tool opensource, as its really useful for medium sized sites to figure out what Google is upto.